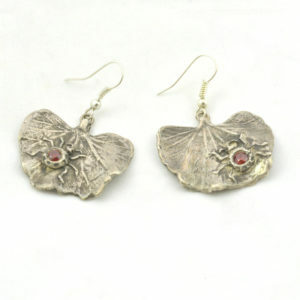 Lovely gray baroque pearl earrings dangle gracefully from hand formed silver ear wires. Small gray glass beads separate the potato shaped baroque pearls to form the 1 1/2″ dangle. 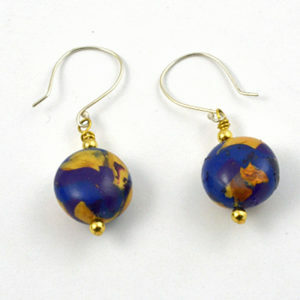 These contemporary pearl earrings coordinate with a listing necklace. 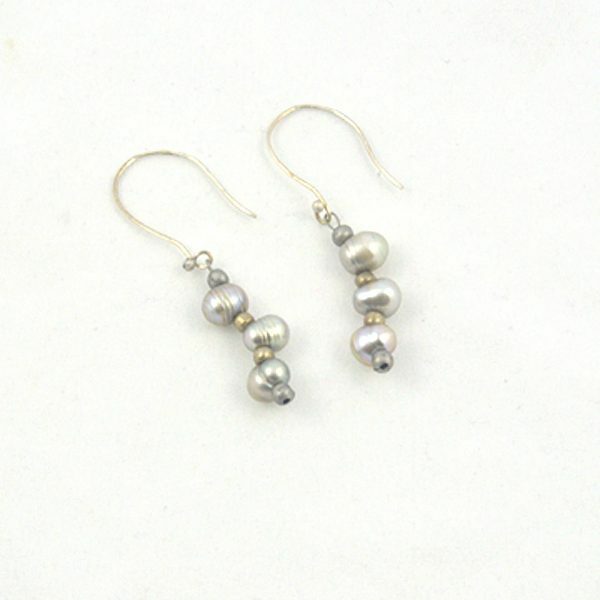 Lovely Gray Baroque Pearl Earrings Dangle Gracefully! Contemporary gray Baroque pearl earrings dangle from hand formed silver ear wires. 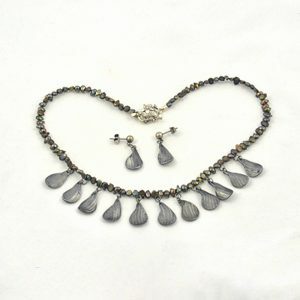 Small gray glass beads separate three Baroque potato shaped gray pearls to make 1 1/2″ dangles. These dangle earrings turn contemporary as the pearls stack and occasionally turn to make a curved line or a straight line of pearls. You can see that in the photos. Linda thinks jewelry should be fun to wear and have some movement built in! Interested in the care of pearls? Here are some guidelines. Limit exposure to acids and chemicals. Gently wipe with a soft cloth after wearing your pearls. Only after a soft cloth fails to clean pearls use gentle soap – baby shampoo. For more tips click on the above link.